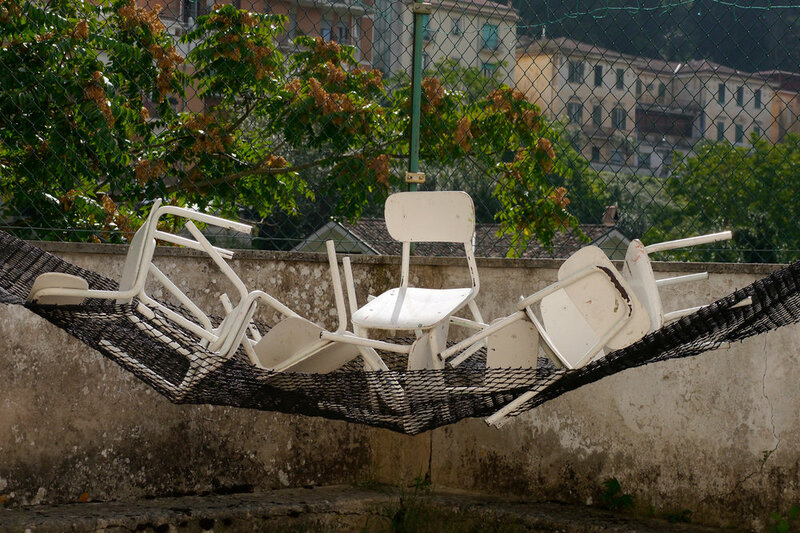 Organised by Lumen Studios London, the residency took place over two weeks in September 2015 in Atina, Italy an ancient walled village in the mountains two hours from Rome. Staying in a former infant school run by Catholic nuns, I joined 19 other artists exploring the themes of astronomy and light. We visited observatories, nearby historical sites and a gallery producing a small exhibition at the local church at the end. Bringing minimal supplies including paper, a fishing net and plastic packing material, I produced a series of sculptures linked to natural forces and developed new approaches to my art practice. 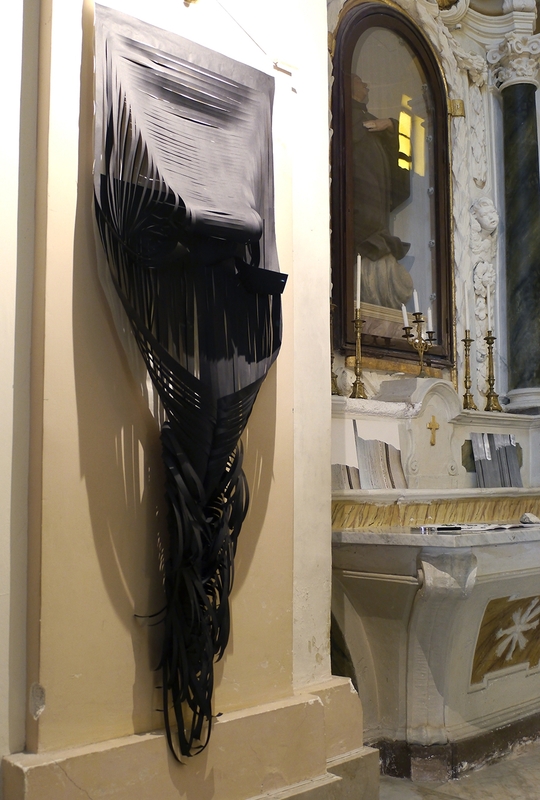 Dark Flow 1, black paper sculpture approximately 1.5 metres tall. 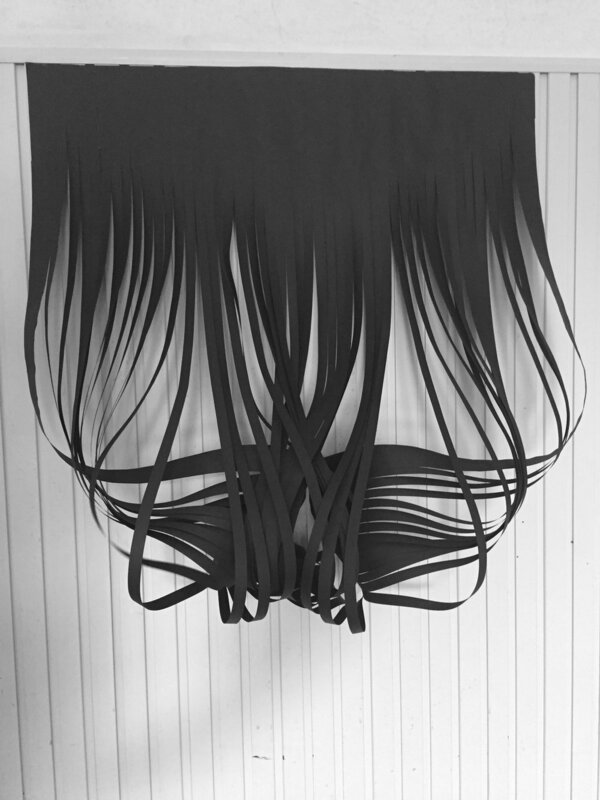 Dark Flow 2, black paper sculpture approximately 2 metres tall. 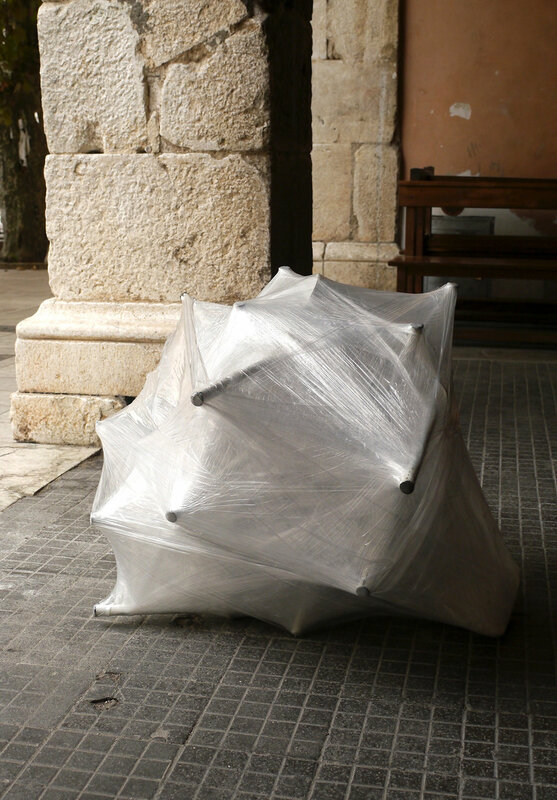 Chrysalis, children's chairs and packing plastic, 110 x 110 x 110cm. 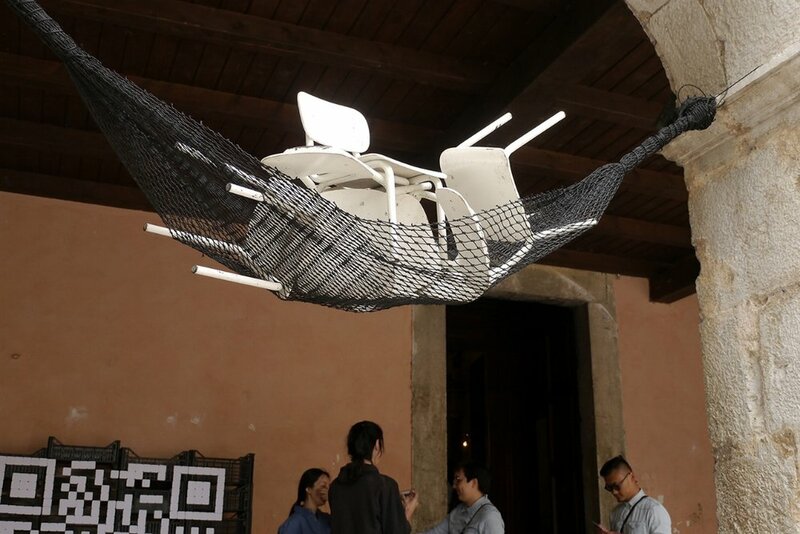 Levitation, children's chairs and fishing net 4 metres wide. Glass plates, feathers, rocks, children's bench.